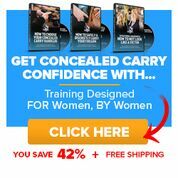 Purchasing a firearm for most people is a major investment. Equivalent to a monthly car payment or mortgage payment which is why most people are always looking for the best deal. Firearm dealers don’t have BOGO (Buy One Get One) sales and seldom have rebates (although we’re seeing more lately). The big stores sell things at MSRP or close to it. The smaller firearm or sporting good stores will be cheaper than that but what do you do if that’s still too expensive? Buying on-line can help but look at the whole process before you jump in. Where to find on-line firearms? 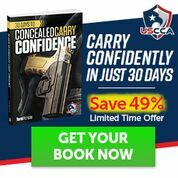 – Cabelas.com or BassPro.com – will allow you to ship to gun to a local store. – Private transfers can only occur in person and between people in the same state. Even if you’re family or the guy lives 100 feet from your front door, if their drivers license is from another state you need to use a FFL dealer to transfer any the firearms. – Private transfers must be done in person and you cannot ship a firearm to another person for any reason. If you ship a firearm off for repair that company or person will have a FFL license allowing you to ship it to them and for them to return the firearm to you when the work is done. – A FFL dealer is allowed to ship firearms to other FFL dealers but have to verify the other dealers FFL license and keep record of the transfer. The ATF publishes a list of active FFL dealers so this is a pretty quick check normally. -If you purchase a firearm at an online site you will need to ship the firearm to a FFL dealer and pick it up from the dealer after doing the paperwork. Yes, you paid for the firearm on the auction site but Federal law (and sometimes state and local laws) prevent you from taking possession of it without the required background check. Expect when you use a FFL dealer to pay a transfer fee anywhere from $10 to $50 or more per firearms for them to perform the required background check (form 4473)on you. If you are going to be transferring multiple firearms see if the FFL dealer will give you a single price deal. Depending upon how well they know you they might just do that. That’s one reason to get to know the FFL dealers in your area and ask questions. Remember if you have a problem with the firearm the FFL dealer only handle the required background check. You’ll need to contact the original seller or the manufacturer for warranty or return information. Before purchasing a firearm on-line make sure you know what the sellers shipping policy is, what payments they accept, cost of shipping, if there is a credit card surcharge, and their return policy. Make sure you know these before bidding or committing to purchase a firearm. Failing to follow through on a purchase will look negatively on your account and may get your account suspended for a time. – Shipping cost. On-line you pay for shipping where as locally all you need to do is walk in and purchase the firearm. – Price of firearm. On-line can have some very tempting prices but keep in mind you’ll get better service from your local gun store. – Do you know what you want? Local store a lot of times have ranges to test a firearm on or will let you return things if you don’t like it. On-line store are more difficult if they allow returns at all. – How comfortable are you with taking apart a firearm. A local dealer can show you how the gun comes apart but a on-line dealer won’t be able to and you’ll end up depending upon YouTube videos and the manufacturer for any problems cleaning or breaking down your firearm. In summary where you purchase your firearms at is up to you but make sure you look at the total picture so you are not disappointed in your purchase. Follow the law and you can save money while also getting the firearms you want. Note: Although this article addresses how to legally transfer a firearm under Federal law it does not take into account any state or local regulations which you should research before transferring a firearm.